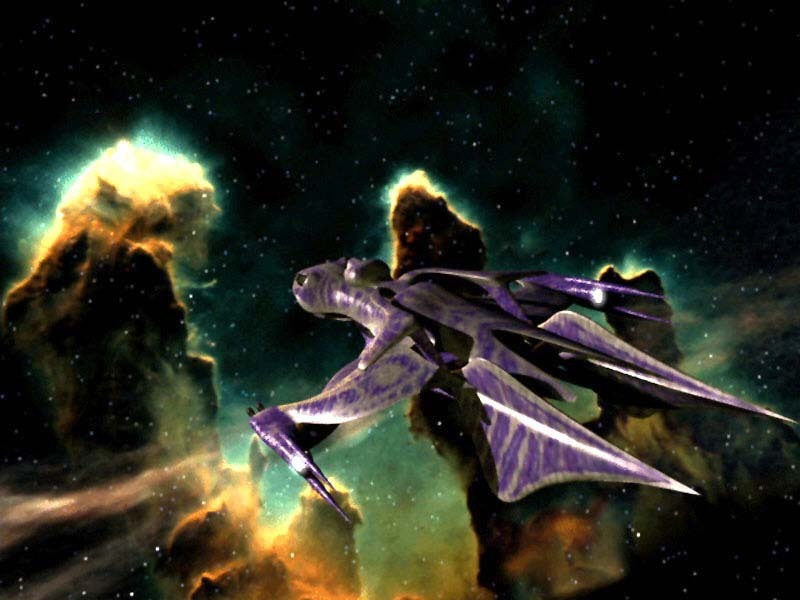 Description: The Whitestar Class was built by the Minbari, but with some Vorlon help. It is a very small ship but amazingly maneuverable, and it has artificial gravity on board. There is one main beam weapon, plus 3 pulse cannons. But while it is incredibly powerful for its size, it has much less weapons power than most major capital ships. The Whitestar Class is also the smallest ship known that can open its own jump-point, making it very useful for smaller attacks and intelligence gathering missions. The Vorlon parts of the class are the computer system and its advanced tracking system. Another Vorlon feature is the semi-organic "learning" armor. It can to some degree adapt to certain weapons, absorbing some of the energy and leaving only physical impact damage. It is no match, however, for heavier weapons or beam weapons. Here yet another Vorlon feature comes into play, the auto-repair system. After sustaining damage, the system starts working on the problem, re-routing resources. This is, however, a time-consuming process, and will not work if the damage is too great. The normal crew complement of a Whitestar class is around 28. A Whitestar also has a small cargo bay capable of holding 2 shuttles or a 2 fighters.